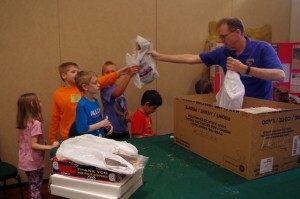 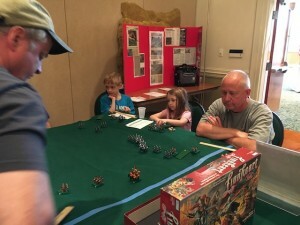 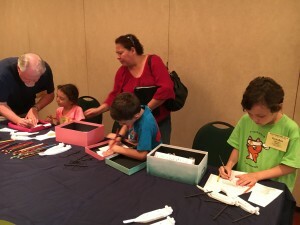 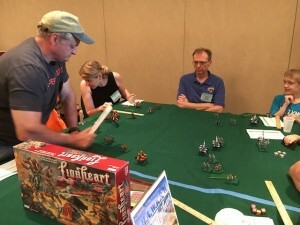 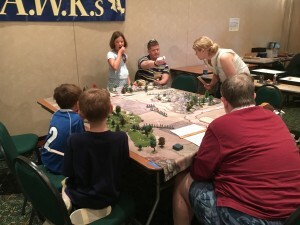 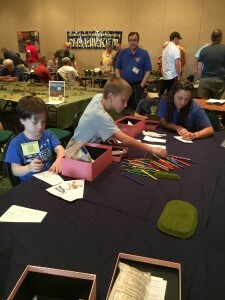 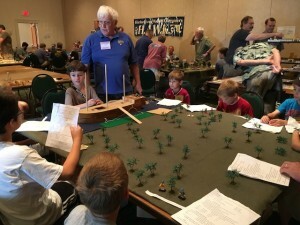 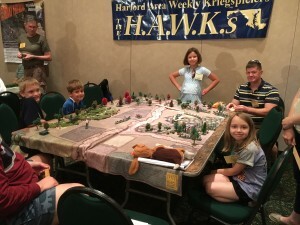 HAWKs run Games for Kids at Historicon | H.A.W.K.S. 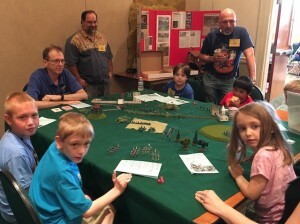 As usual, the Harford Area Weekly Kriegspielsers ran several games focusing on kids at Historicon. 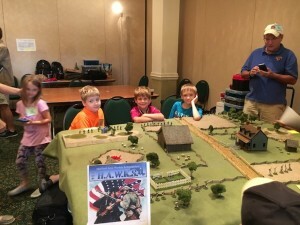 Below is a quick rundown on some of them. 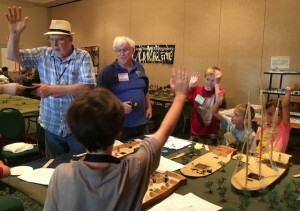 Buck Surdu ran a game in which a group of kids were given a box full of boats and other materials. 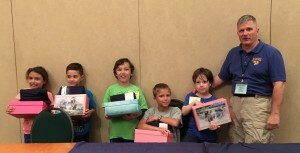 They then chose sales for a stack of patterns and colored them. 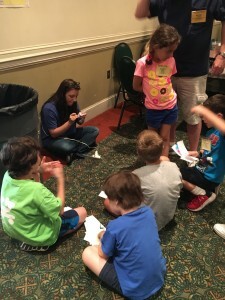 Then we helped them hot glue the sails to the masts. 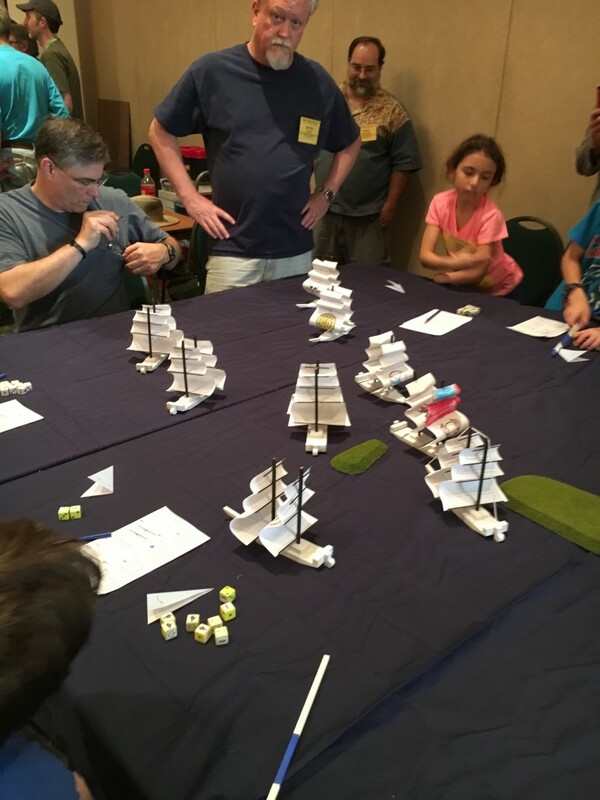 With a set of rules designed for this game, we ran a naval action pitting side A against side B. 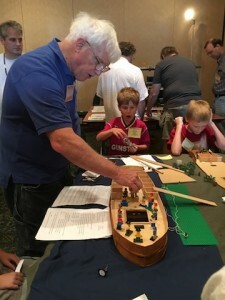 When the game was over, the kids took hope their two decorated boats, two more the assemble, rules, dice, measuring sticks, a sea cloth, and everything they would need to run the game at home for their buddies. 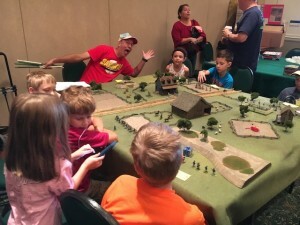 We worked all year through a series of club painting days and other events to build six complete sets of armies (one French and one Prussian) for a 15mm Franco-Prussian War giveaway. 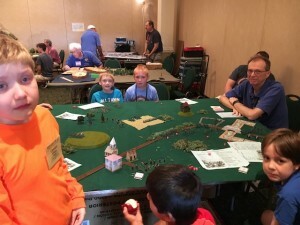 As in previous years, the kids played the game and then each went home with a French Army, a Prussian Army, terrain, dice, tape measures, and a ground cloth. 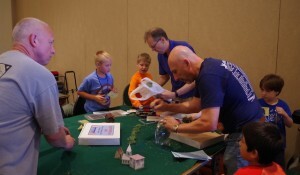 Duncan puts a set of figures back together after the game. 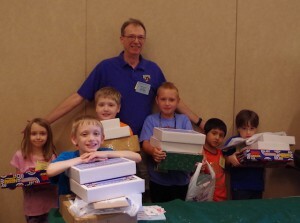 Putting sets together to hand out to the kids. 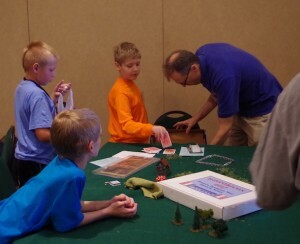 Chris was presented an award from the convention staff for this kids’ game. 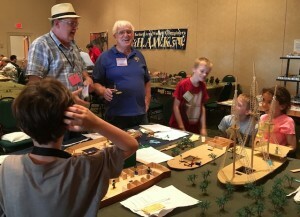 This has been a perennial favorite in the HAWKs rooms for many years. 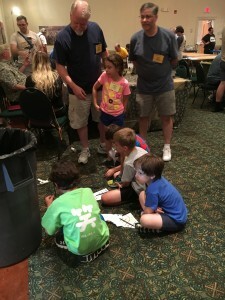 Geoff never fails to keep the kids entertained and engaged! 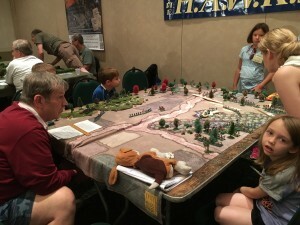 The game gets under way. 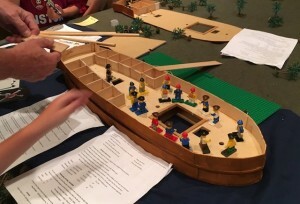 A boat full of Lego pirates. 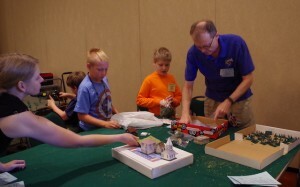 The ship comes apart to reveal the lower decks.